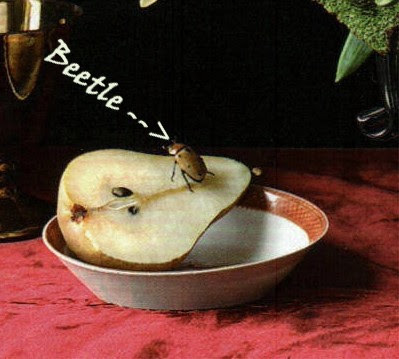 It seems that Martha Stewart really does have a thing for bugs! 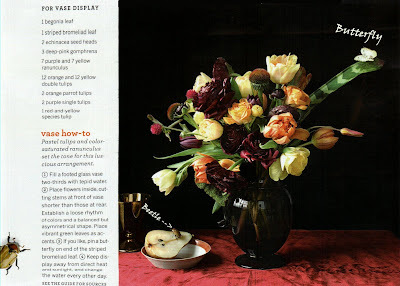 Here are a few pictures from her latest issue (Oct. '07) showing the use of real insects in flower displays. 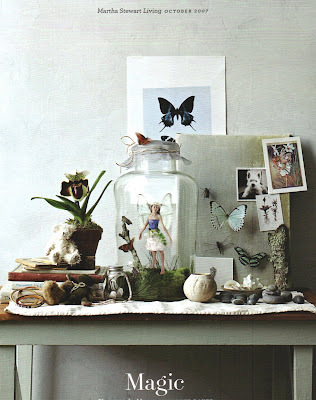 She says "The insects are (a) nod to the old masters, who viewed them as symbols of transience". 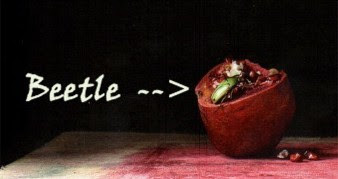 Here, she is using a real, dried beetle on a pomegranate. 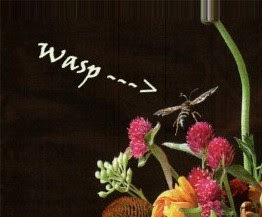 Below, a wasp alights on a flower stem. 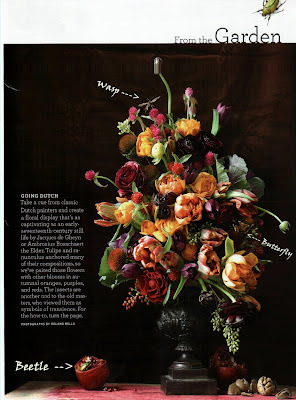 In her second floral display, Martha uses another beetle and a butterfly. 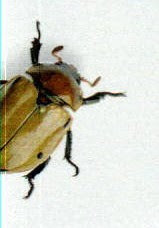 I'm really pleased to see all the beautiful beetles! Their appearance is very Victorian, and they look quite formal on her pages. 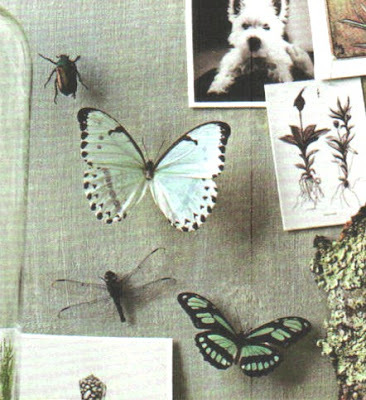 All in all, Martha proves that decorating with insects (even crazy ones like beetles and wasps!) is in style! Thanks for reading!